-Rechargeable 5,000mAh battery. Check the battery status right from the Foscam App and get notifications when the battery needs a recharge. Strong 802.11n 2.4Ghz WiFi connection powered by Broadcom chipset between camera and base station. 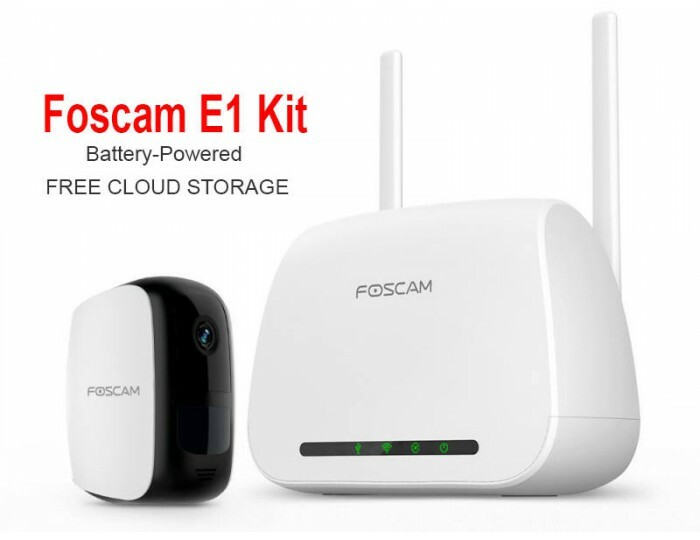 -7 Days of Free Foscam Cloud storage plan with up to 1 GB data space included. 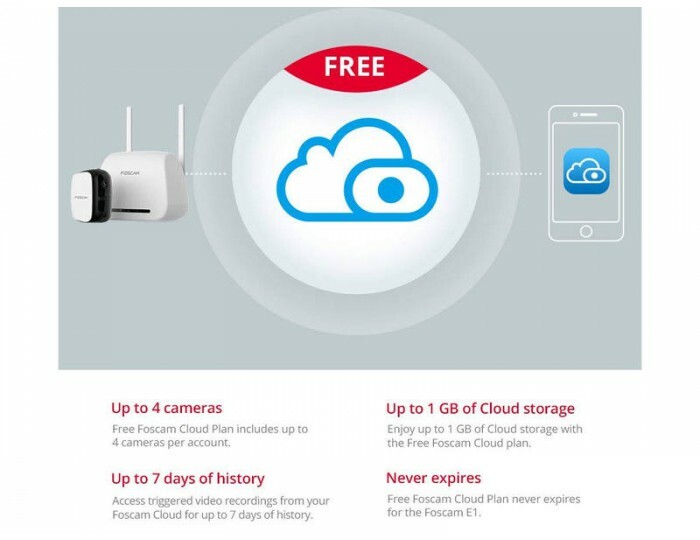 Each cloud account in this free plan never expires and it supports up to 4 add-on cameras. 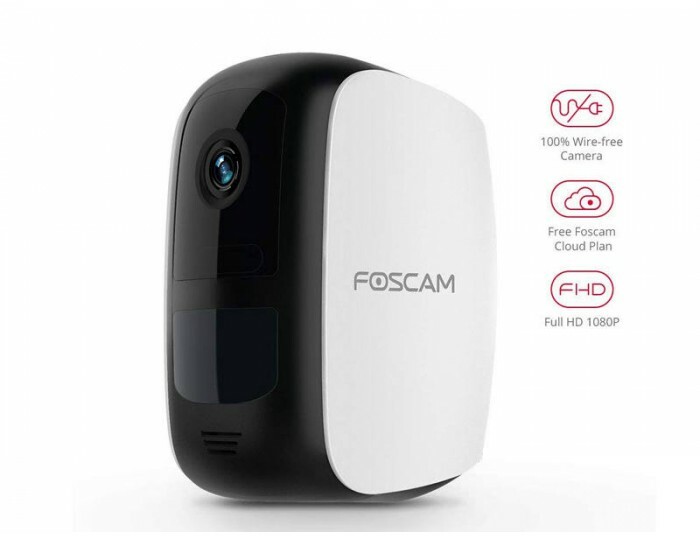 Developed on US-based Amazon Web Service server, Foscam Cloud is of high-level encrypted security and privacy protection. -Full HD 1080p Live View & Playback thanks to powerful Ambarella main chipset and Sony CMOS sensor. Night vision up to 7M in low light or even in the dark. 110° diagonal angle of view. Listen and talk back through the built-in mic and speaker from App. (NOTE: Note: This camera does not support PC/Mac web interface access for now. But it will be available in the future). -Free, Easy and Smooth Setup. IP65 level certificated weatherproof. The camera in this kit comes paired with E1 Base Station. Adding additional add-on cameras is just a tap away with convenient sync button pairing option. 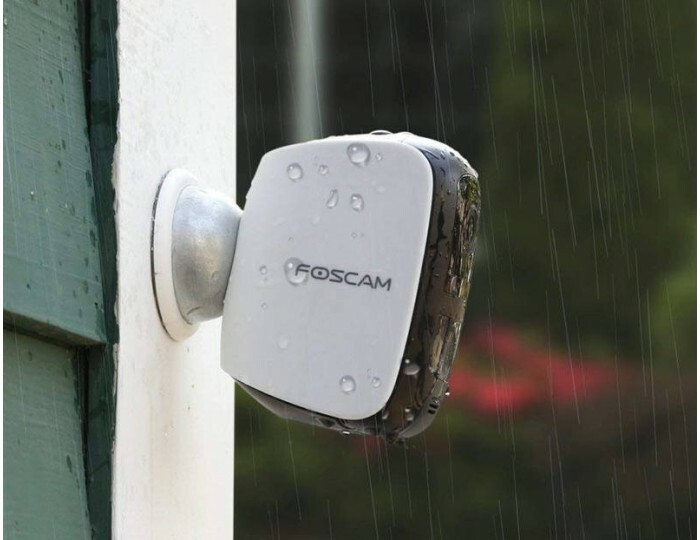 -Advanced Movement Detection algorithm and wide-angle Passive Infrared sensor (PIR) detect human & animal movement. 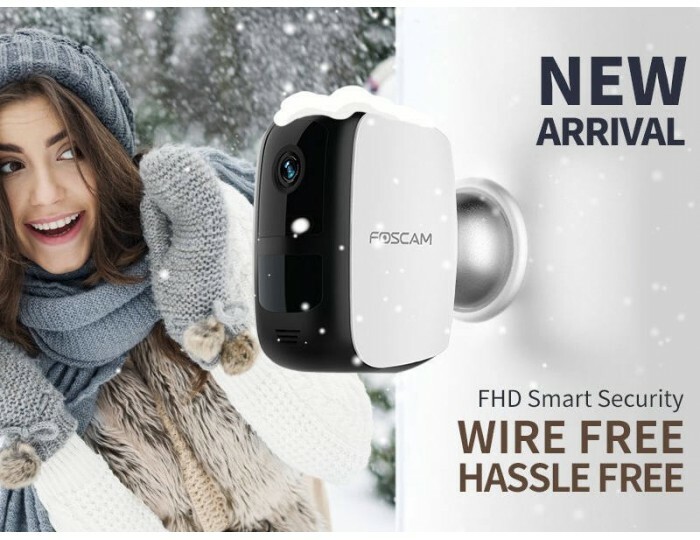 Foscam E1 record the movements and send snapshot push notifications to your smartphone. The captured footage uploaded onto the Foscam Cloud, or your own USB storage device locally. 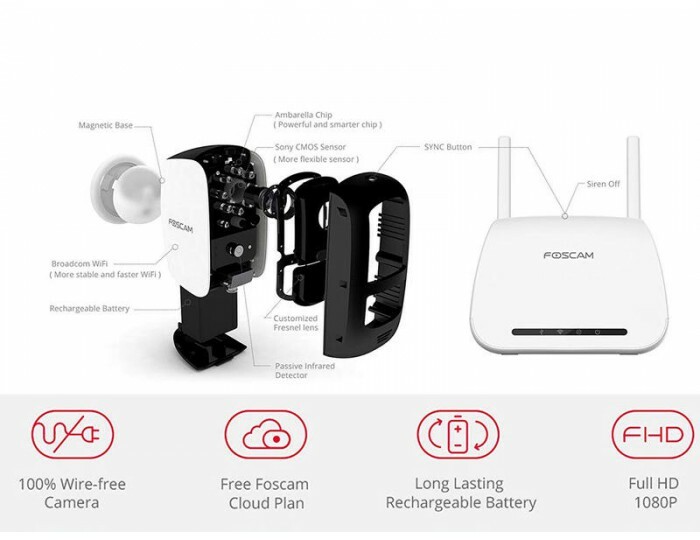 -E1 base station comes with a USB port that supports USB flash drive storage and a siren that can be activated from the Foscam app.